How international is the IMF? 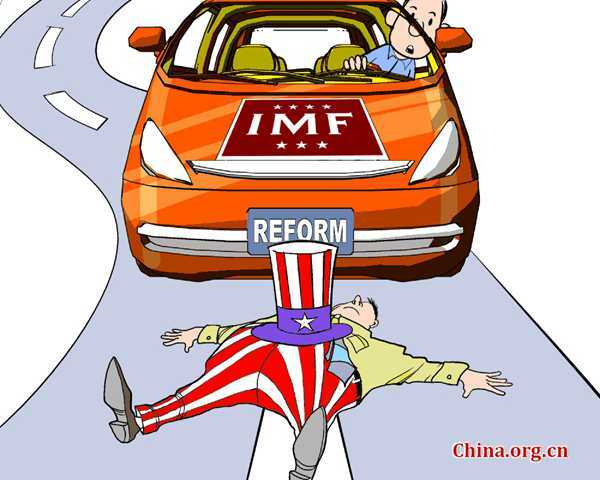 Recently, the International Monetary Fund announced "historic reforms" in its governance. In reality, changes have barely begun. During the global crisis of 2008 and 2009, advanced economies could no longer contain the devastation. As a result, the old G7 club of Western powers was surpassed by the G20, which includes both advanced and emerging economies. In turn, Washington and Brussels pledged to accelerate governance reforms in international organizations, such as the International Monetary Fund (IMF). Last week, these reforms entered a new era, according to the organization. "I commend our members for ratifying these truly historic reforms," Christine Lagarde said. The French managing director of the IMF stated that the reforms would ensure that the institution is better able to meet its members' needs in a rapidly changing global environment. But how does the IMF reflect the international community? The IMF's recent reforms will increase its quota resources (the capital of its member contributions), which will almost double to a total of US$659 billion and thus enhance the organization's ability to respond to crises more effectively. These reforms are said to enhance the voice of the emerging and developing countries as more than 6 percent of quota shares will shift to emerging markets and developing countries. In turn, Brazil, China, India, and Russia will join the 10 largest members of the IMF, along with the major advanced economies of the United States, Japan, and the core European countries of France, Germany, Italy, and the UK. Nevertheless, these "historic reforms" will not challenge the bargaining power of the advanced economies. The U.S. will continue to dominate 18% and other advanced economies 25% of the IMF quotas. In contrast, the quotas of the BRICs countries, the large emerging economies of China, India, Brazil and Russia, amount to a combined 10%, which is less than a fourth of the combined share of the major advanced economies. Regionally, the IMF reflects the dominance of advanced North America and Western Europe, at the expense of emerging Asia. In terms of representation and fairness, how does the IMF reflect the international community?